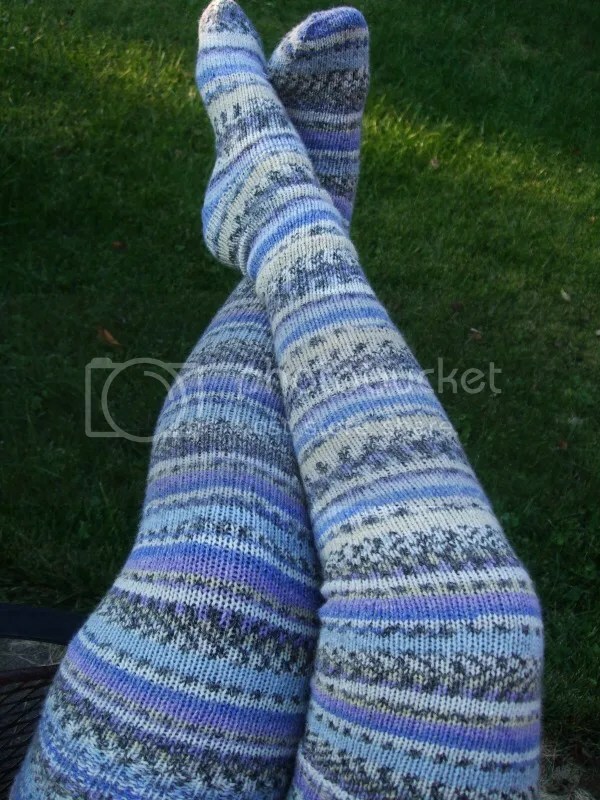 FO: Crofter Socks | Stitch, Brinn, Stitch! Ravelry tells me I started these socks on September 12, so I am super pleased to get them off the needles. 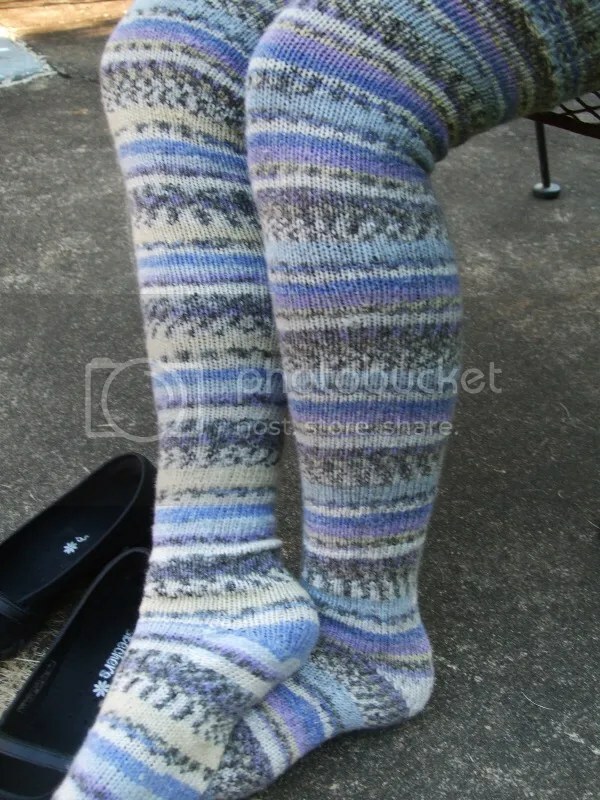 Pattern: It’s a toe-up sock with Wendy Johnson’s gusseted heel. Wedge toe. Sooooooocks. I love socks. I love handknit socks. These are pretty fabulous. I love long socks. There isn’t too terribly much to say about them other then they are very long and I like them. I don’t know much about the yarn, but it’s 60% acrylic, so we’ll see how it wears. I have other socks mainly composed of acrylic that I’ve purchased and they’re not too bad. So we’ll see. Also, I signed up for another swap. This one is Sherlock-themed, but nothing with that will happen for a while. I’m trying to do another round of OWS but I’m not sure what’s happening there. In other knitting, I recently purchased this ebook and OMG LOVE. It’s so pretty. I’ve already cast on for the Parquet Underbust Corset and I plan to make like nine other things. I’m feeling a bit of cast on mania, but I’m trying to curb it. I’m thinking of ripping the Pfeiffer Falls scarf I started ages ago and working the Legacy Frock Coat in the scrummy worsted cashmere. I wouldn’t have known that the socks didn’t match if you hadn’t told me. I may have figured it out eventually but that’s all dependent on how observant I am. I hope to finish another pair of socks soon……we’ll see.